What Are Incentives, Commission & Overrides? I spoke a lot about Incentives, commission & overrides in my blog post about the US Airways vs. Sabre trial, where many numbers came to light and provided insight into the money flow here. But this time, I want to focus on what those numbers actually mean. 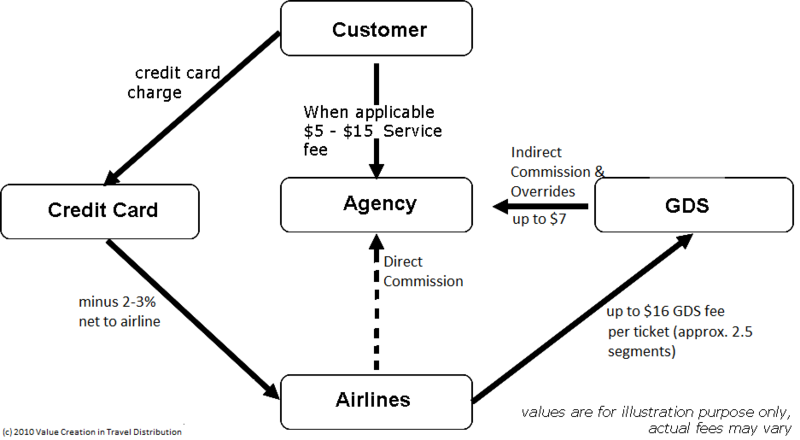 One model established in the airline industry is the incentive model. GDSs’ so-called segment fees for distribution are paid by the airline from the fee the traveler pays to it. GDSs generally pass on a part of this segment fee to the agencies which got the sale going. In some cases, the agency also demands a service fee directly from the customer and sometimes also receives additional commissions directly from the airline. Part of the amount for the ticket also goes to the credit card company if payment is not made by direct debit. Some airlines therefore also apply a credit card fee. The actual distribution of the fees and commissions to the parties involved (the settlement process) is generally handled via a clearing house (such as ARC or IATA). The regular commission which GDSs pay an agency or TMC (the numbers where partly revealed in a lawsuit covered here) is straightforward per booking or per segment. However, it gets tricky when incentive overrides come into play. 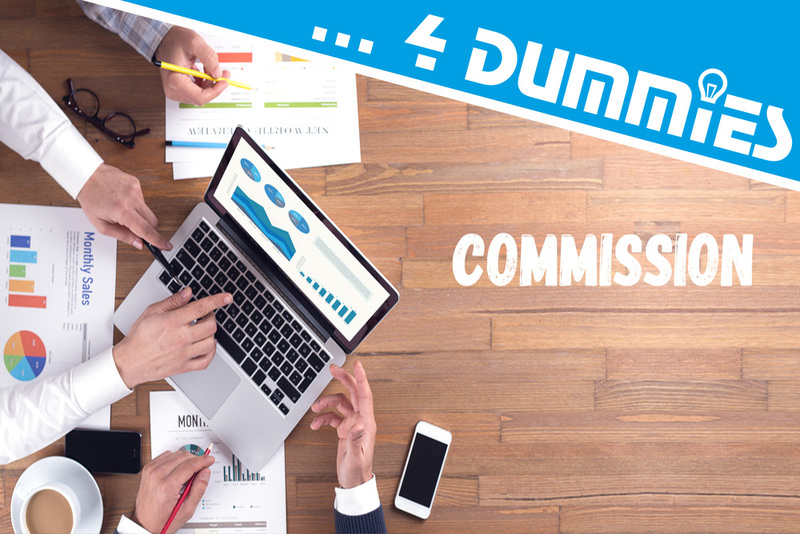 Commission overrides are an additional commission percentage paid when a certain volume level is achieved. I was amazed when one of our clients showed me the technology they put into place (using our multi-GDS engine underneath) to divert on a daily basis in which channels bookings were made in order to maximize their profit: The per-booking commission on one GDS was better than the other one, but they needed to achieve a certain number of bookings on the other GDS in order not to lose an incentive they had negotiated with the other GDS. It was amazing to see how they narrowed it down more or less to the last day of the year to make that one important booking which put them over the threshold so that all bookings made to date could receive an extra bonus. What Is a Booking Reference or PNR? What Is a Passenger Service System (PSS)? What Are Booking, Waitlist, Ticket, Codeshare & Interlining? What Are Active and Passive Segments? What is a ‘married segment’? What is the Difference Between Fares, Rates and Tariffs? Are you the perfect revenue manager? Incentives are calculated per calendar year. Bookings are distributed evenly throughout the year. As a revenue manager of the agency, how can you maximize the agency’s profit and what will this profit be? Please provide your answer in the comments section. The solution for the task. $0.80 for each booking in GDS B elsewise. It sounds about right. So, with the example (‘240 bookings a year. 40 bookings of this agency are made with airline A – all others are made with any airline bookable in a GDS’), what would be the actual $ amount of incentive of this agency that year? Not bad, but you can even get up to $278! How $278 are you considering 190 bookings to be made in GDS B @1.20 (assuming 40 booking for airline A and 150 booking made from dec to april in gds B) and remaining 50 bookings in GDS A for the rest of the months? 240 bookings total per year means 20 bookings per month on average. May-Nov: all 40 bookings for Airline A need to be made during this time frame and on GDS B to maximize profit, so that you can get 40 bookings x $1.20 = $48. The remaining 100 bookings are made on GDS A, which also secures the $0.10 per booking in override bonus – hence 100 bookings x $1.10 = $110. In summary: $120 + $48 + $110 = $278. This means, within your booking tool, you need to steer all your travelers to book airline A on GDS B during the months of May-Nov. – something you can only do with an individualized tool such as https://www.pass-consulting.com/en/software-consulting/online-booking-tool/. I will read on override commission. Thanks once again! You are more than welcome. This may also be interesting as the money flow may change https://www.travel-industry-blog.com/travel-technology/fares-rates-and-tariffs/ due to https://www.travel-industry-blog.com/travel-industry/ndc/. If you are on override commission, and the company gets a loss or a negative in a certain month, do you get deduction on your wage for the negative sales for the period? To my understanding… override is an incentive to be given for a profitable period… not for the company to take from the sales agent if the sales for the period is at a negative or a loss. Thanks for your question. I would assume, the details of such agreements and “what happens if..” is part of the agreement between the parties. I’m not sure I understand what you mean by a loss. I would say the commission/override is based on booked/traveled PNRs and that number cannot be negative.